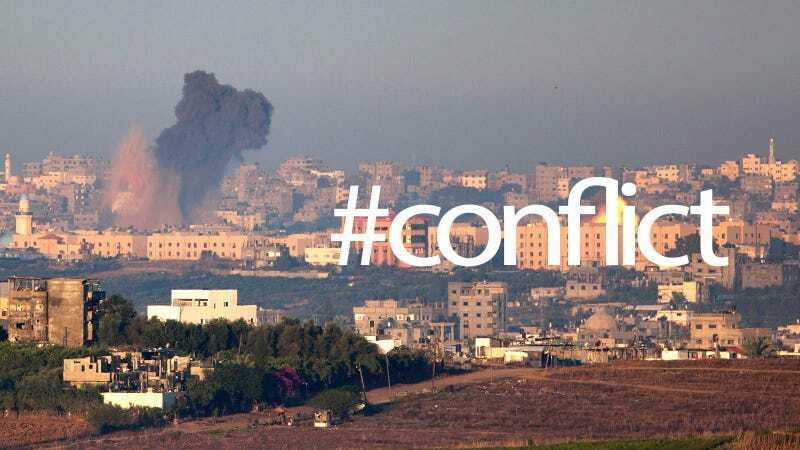 A conflict is escalating in Gaza, where the Israeli Defense Force has been engaged with Hamas for the past several days. And whoever is running the IDF's Twitter account has decided to live-tweet the entire thing. The disconnect between the cavalier tone and the grave content is positively surreal. What's most unnerving, though, is how aggressively the IDFSpokesperson account is angling tweets of the ongoing conflict. Dropping viral hashtags like #BlackOps2 is a cynical—but probably effective—way to get as many eyes on your tweets as possible. It's also downright disturbing.